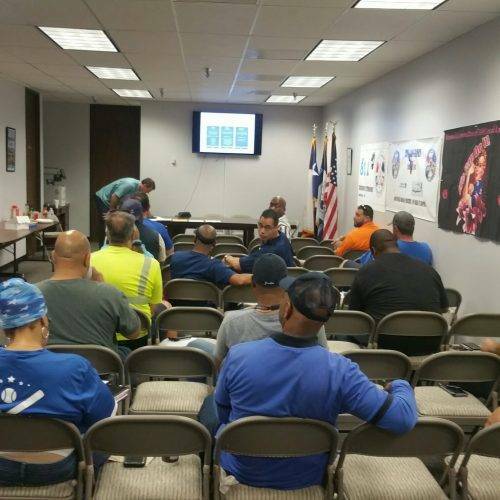 IAM141 Shop Stewards and Reps from United Airlines participated in a joint safety forum to discuss the company’s Ground Safety Action Program (GSAP) on June 14th. 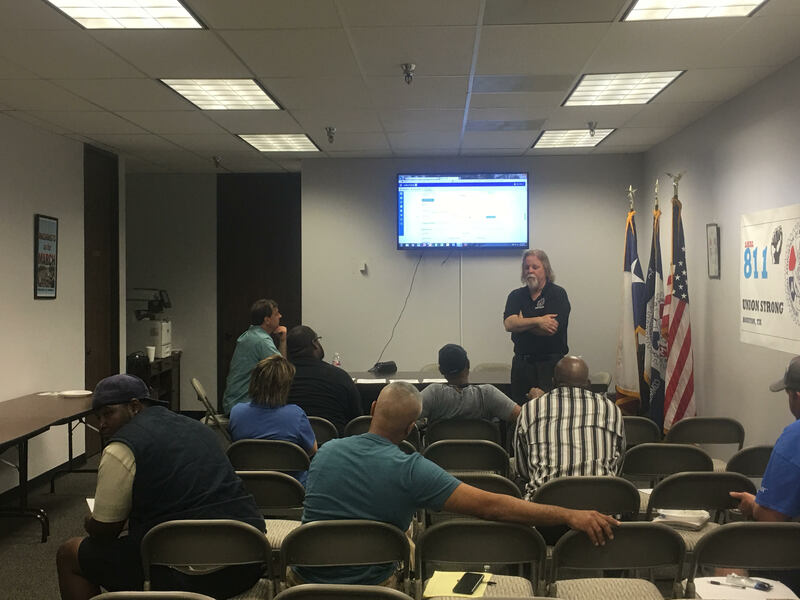 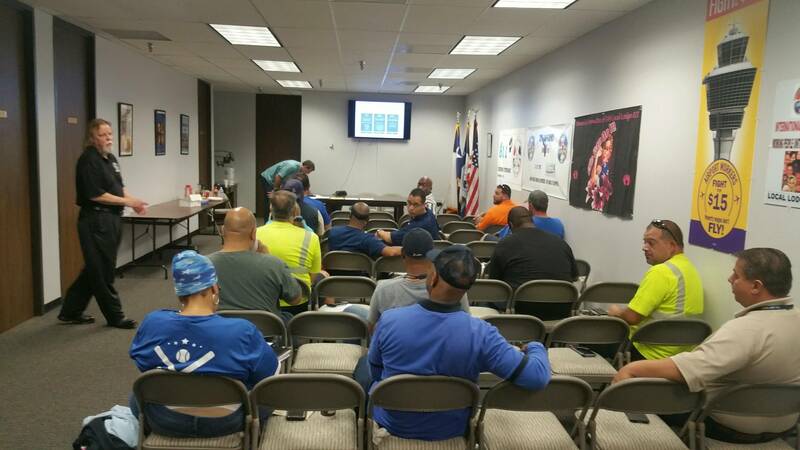 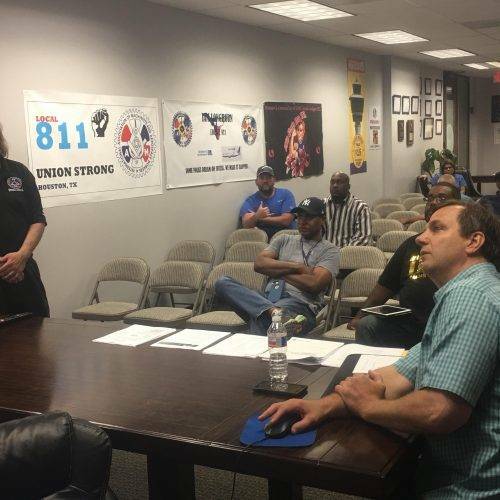 About 65 Shop Stewards, representing virtually every employee classification at the massive United Airlines hub in Houston, Texas, participated in the educational forum hosted by IAM Local 811. 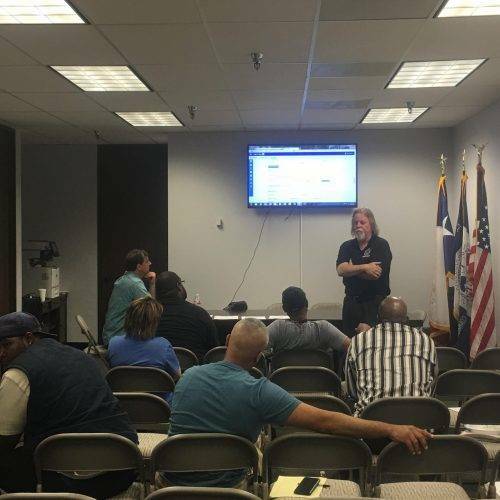 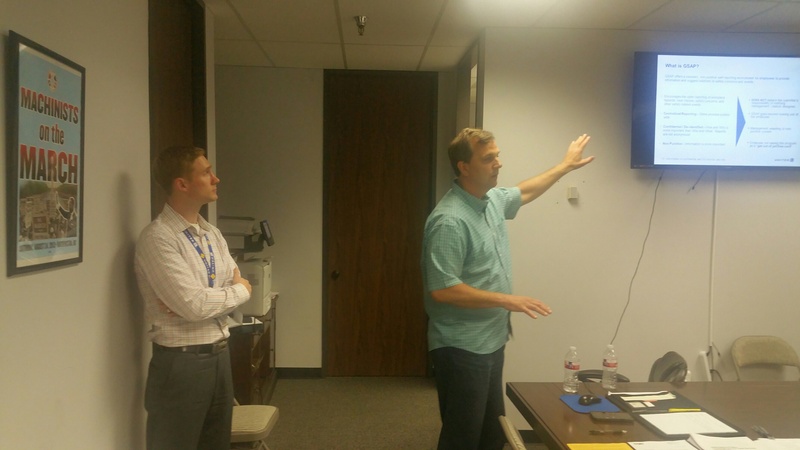 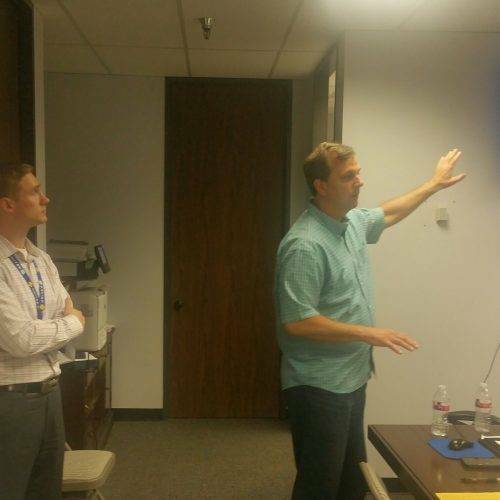 IAM141 Safety Director Bill Salo conducted three two-hour classes alongside United Airlines’ Aviation Safety members to cover the basics of GSAP reporting. 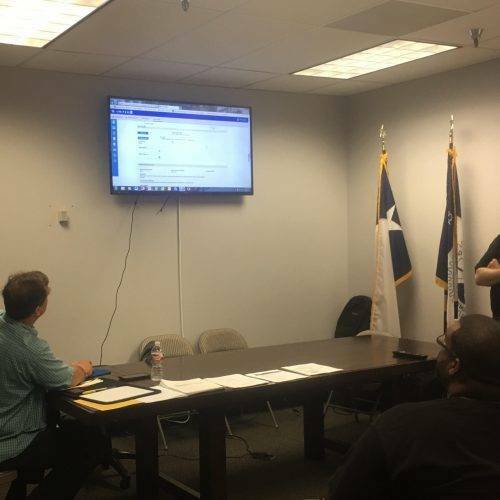 Participants learned how to file a report, and how regulators resolve the reports once they are filed. 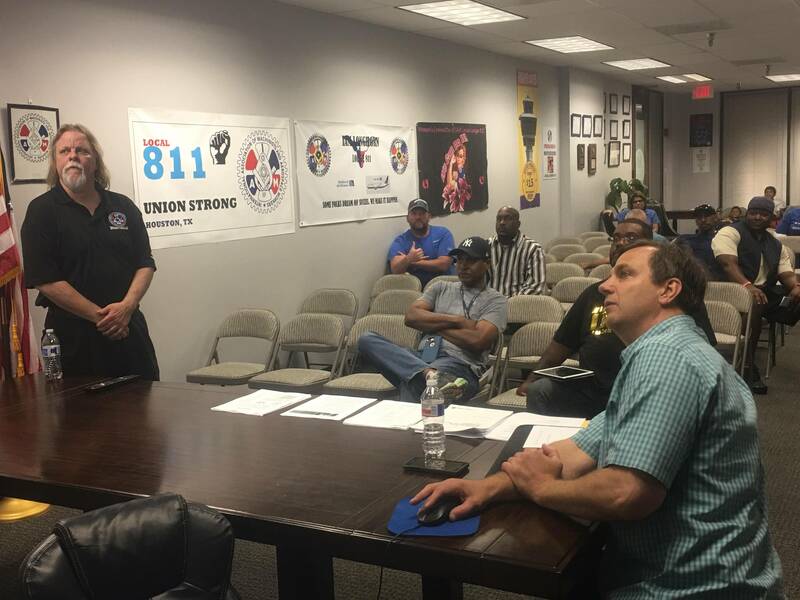 GSAP reports allow the front line employees at United Airlines to report safety infractions, unsafe working conditions and non-emergency incidents to Federal authorities and representatives from IAM141 and the company. 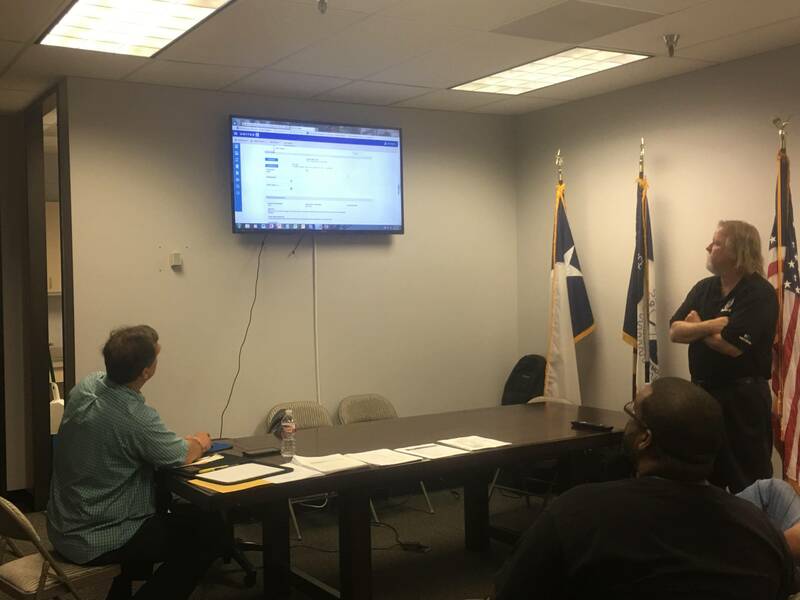 Using the GSAP reporting tools, all United Employees can serve as de-facto safety inspectors, creating a safer workplace for employees and passengers.